Bible Writing is a great way to refresh and energize your spirit. 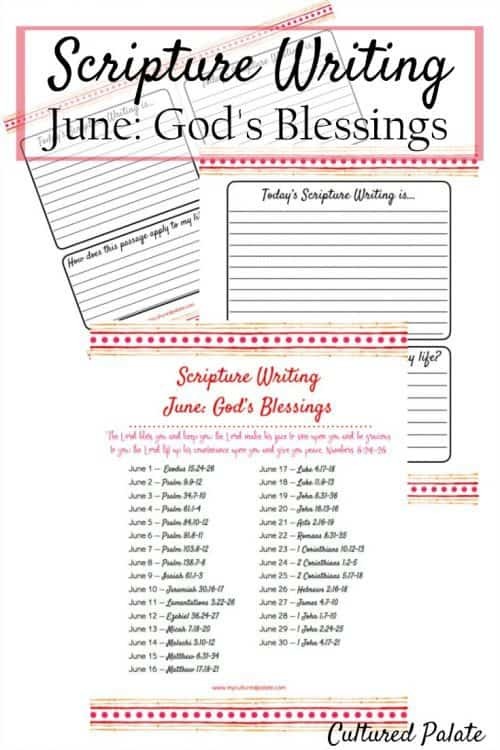 The scripture writing verses for June focus on God’s blessings. What better way to cultivate a thankful spirit than by realizing how blessed we are? Never heard of Bible Writing? 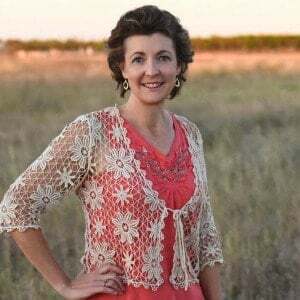 If you are not familiar with this type of Bible study plan, it is designed to get you into the Bible and actually writing verses. Therefore, some call it Scripture Writing. This month’s theme is God’s blessings and you get a different verse or verses to write each day. The scripture writing verses for each day are designed to take no more than 10 minutes. But, of course, you can spend longer if you want to! 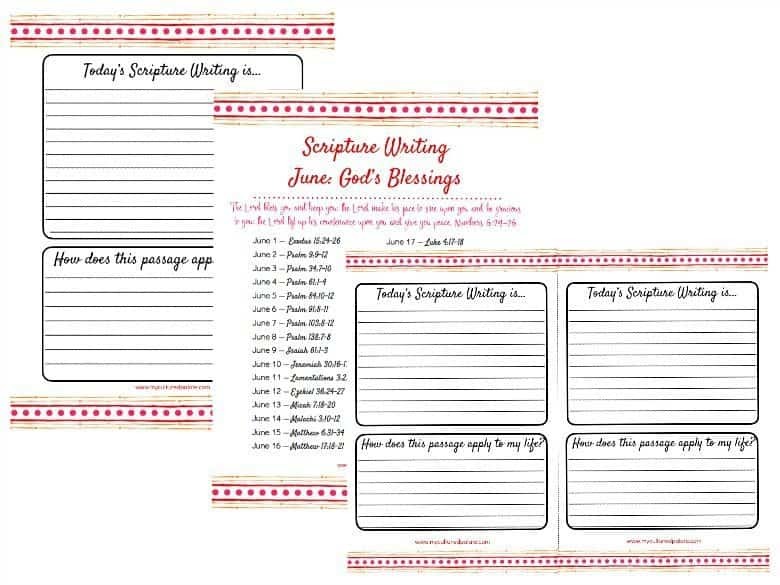 You will receive the verses for each day of the month along with coordinating lined paper to print for a 3 ring binder. There are 2 ways to print the lined paper, full page or half pages for use in smaller notebooks. 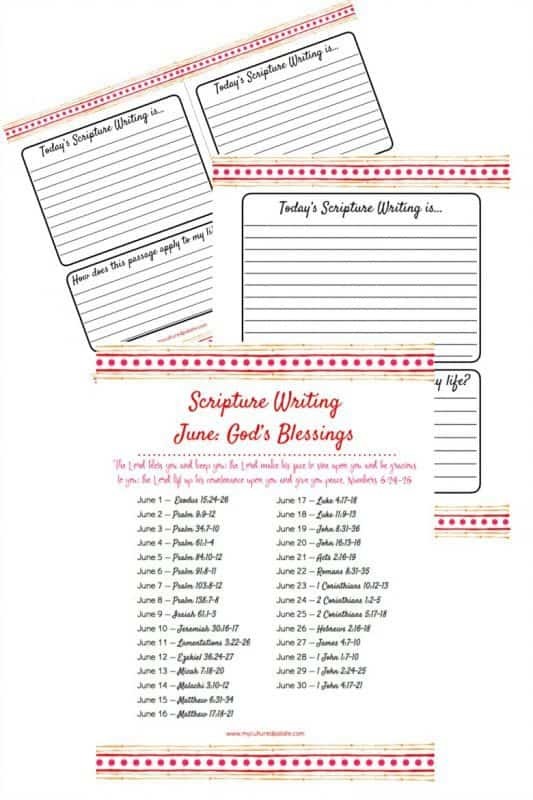 Bible Writing for a Whole Year! What is your favorite part of Scripture Writing? Tina, I am so glad – thanks for letting me know!